You could go up a directory, and move this directory where you want it to be, just like you'd rename any other file. You can actually do what you suggest, at least on MS Windows, which uses ls-lisp.el (you might try it on other platforms too, after loading that library). It works, even with emacs -Q (no init file), i.e., with vanilla Dired. 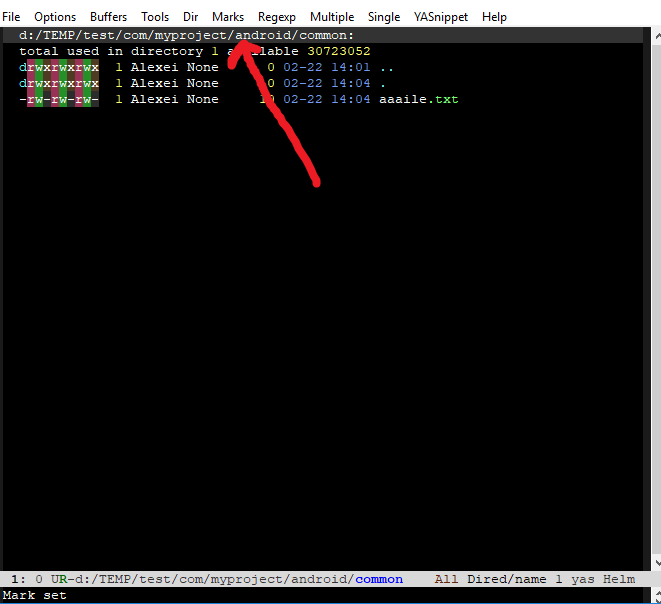 To do this, put your cursor on the current directory line in Dired, which is shown as . or ./ depending on your ls switches. There is an Emacs bug here, it seems, but the operation does seem to work OK. I've submitted bug #30578 for this. See the Emacs manual, node ls in Lisp, for information about using library ls-lisp.el, if you are not on MS Windows. Dired: Insert/Moved to this subir for all subdirs? Why “dired-jump” open folder in dired mode with split mode?